Monument Valley in an Austin Powers’ nutshell is a beautiful, addictive puzzle game that is hands down worth the $4 sticker price. Players will be tasked with guiding the game’s main character, Princess Ida, through complex, three-dimensional castles in the sky that look like they came straight out of a fairy tale, except there’s a catch: prepare to be mentally challenged, because the “puzzle” aspect of this game is extremely challenging. Apart from the beautiful visuals, the addictive game play also sets Monument Valley apart from the rest of the iOS app world by forcing players to think completely outside the box as they try to solve the puzzle of guiding Princess Ida to her destination. As I mentioned above, these architectural puzzles are completely 3-dimensional, so players must spin, rotate, and pull some Jenga-inspired levers to make sure a safe pathway for the princess will get her to the finish line. Sound, believe it or not, also plays a huge roll in Monument Valley, and will key in on specific aspects to let the player know situations that are both good and bad. While I still enjoyed playing Monument Valley on silent for a solid hour on a recent flight to Oklahoma City (forgot my earphones), the full experience must be played with sound – trust me, it’s worth it. So it’s all hunky dorey then? Well, not exactly – nothing is perfect (well, except for Goldeneye), we all know that. The biggest issue with Monument Valley is that it’s simply too short; while the puzzles are sincerely challenging and addicting, you may feel a little empty-handed at the end of the game. While I did think it should have been lengthened extensively, I was still extremely happy with the title, and still believe it is well worth the purchase price. And speaking of purchase price, the $4 price tag is really the only other knock that Princess Ida has going against her. Perhaps down the line this game will sneak into the ranks of the free games, but until that day comes if you’ve got a few bucks to spare and lots of free time, Monument Valley is worth the purchase. Yeah so this should be renamed to “ios games we do NOT like”; that’s four hard-earned dollars that I can’t get back. I shouldve listened to my gut since i’ve never really had the patience for puzzle games. Ha wright i actually liked this one; still on the fence tho on wayward. Did you grab that one yet? I read this article on SQ and found it very interesting, thought it might be something for you. 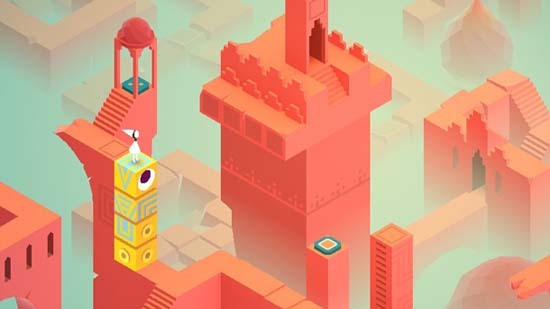 The article is called iOS Games We Like: Monument Valleyand is located athttps://www.slightlyqualified.com/ios-games-we-like-monument-valley.